The Mountainwood Condos in Provo Utah are BYU Approved Condos. The Mountainwood Condominiums are located at 36 W & 54 W 700 N Provo, UT 84604. These condos are built in 1987 and have 22 units. In the past they have been FHA approved. Please check with your lender to verify the current FHA status. Would you like to buy or sell a Mountain Wood Condo in Provo Utah? 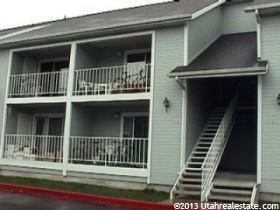 Team Teasdale listed a Mountain Wood Condo in Provo UT and sold it in 25 days. These condos are beautiful and are in high demand due to their location to BYU and their ability to rent to four single BYU students. It is a great location if you wish to walk to campus. Are you searching for a Mountain Wood Condo Near BYU? This one is sold but others may be available. Mountain Wood BYU Condo. BYU Approved for 4 Women. Located just 2 blocks from BYU! City zoned for 4 singles! All furnished and ready to go! Fully rented! Perfect for an investment. TOP END UNIT! Outdoor balcony with lots of natural light! HARD TO FIND unit that is city and BYU approved for four. Facts about Provo Utah. If you have a Mountain Wood Condo in Provo Utah and would like a free market analysis Team Teasdale Realty would be happy to provide one for you. Paul Teasdale has been selling condos around BYU since 1995. Paul has sold condos at the Mountain Woods over the years. If you are looking to buy a Mountain Wood Condo in Provo Utah Paul will let you know if any are available. If none are available Paul will let you know about other similar condos in the area. If you are looking for a Mountain Wood Condo Near BYU contact Paul Teasdale. As a Realtor I have access to the Multiple Listing Service or MLS. 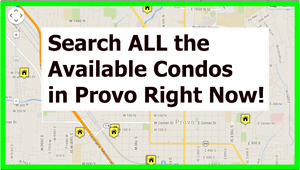 This service provides historical data on each condo complex and condo sold around Provo. The earliest recorded data on the MLS usually appears between 1996 to 1999. The oldest record I can find on a Mountain Wood Condo in Provo Utah was in 1999. This condo sold for $122,500. Between 1999 – 2000 the price of the Mountain Wood Condos climbed to $130,000. The prices slightly increase to $134,000 in 2004. Some of the condos have a loft. I noticed one of the condos with a loft sold in 1996 for $187,900. The Mountain Wood Condo in Provo Utah with a loft had 1,217 square feet compared to most the other units with around 820 square feet. It appears the condos with a loft seem to sell for about $50k more than the other units. The condos with a loft have an additional bedroom and bathroom. If you have any further questions about the Mountain Wood Condos contact Paul Teasdale of Team Teasdale Realty. If you have a Mountain Wood Condo in Provo Utah and would like a free market analysis Team Teasdale Realty would be happy to provide one for you. Paul Teasdale has been selling condos around BYU since 1995. Paul has sold condos at the Mountain Woods over the years. If you are looking to buy a Mountain Wood Condo in Provo Utah Paul will let you know if any are available. If none are available Paul will let you know about other similar condos in the area.